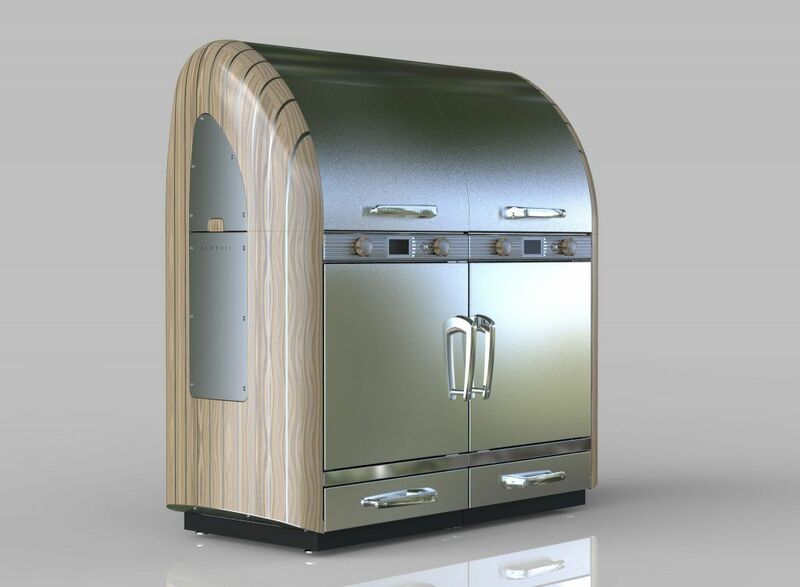 As an ardent grilling enthusiast, Aemyrie’s founder Peter Walsh noticed a gap in the market for a luxury, fully automatic oven that could be personalised to suit any outdoor kitchen space. Thus, Aemyrie was created, offering bespoke, built-to-order, wood-fired ovens that are handmade in England by artisan craftsman. With a wide range of personalised finishes/colours/options available, and an intelligent temperature control system that combines the convenience of gas cooking with the amazing taste of cooking with real wood or charcoal, Aemyrie delivers gastronomic perfection and unrivalled beauty, the likes of which the UK market has never seen before. As a brand new product to the luxury goods market, Aemyrie needed a full, cross-channel digital plan to launch their concept. Not only would they require online marketing activities to entice potential customers, but also full branding and an impressive website. In order to ensure that any interest generated would be from the right type of potential buyer (one able to afford the price point associated with an individually commissioned oven), it would be vital to clearly convey Aemyrie’s USPs and luxury nature, both through the website design and any online content. Overall, Aemyrie’s main goal was to generate a buzz around the product and begin accumulating leads. First, our team set to work designing a logo. Since “Aemyrie” is the Old English word for “ember”, we based this on a Celtic-style knot, but modernised its design to reflect the clean lines and luxury nature of the oven itself. Next, we designed and built a sleek website that would pique interest and drive website visitors to find out more about the product. 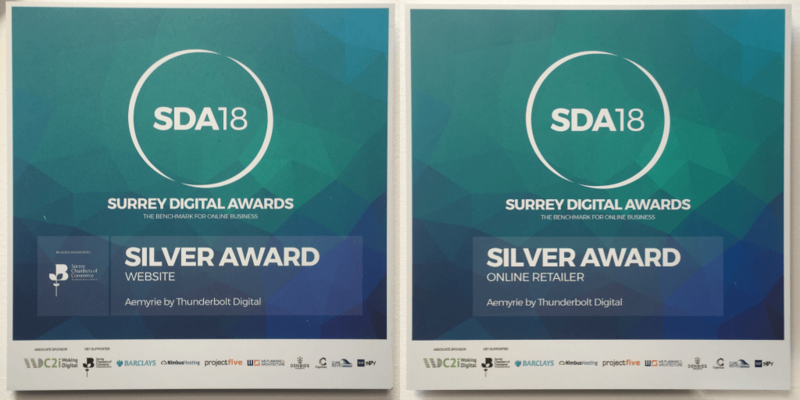 The website was so successful in achieving these goals that it scooped two silver awards at the 2018 Surrey Digital Awards: best online retailer and best overall website. We next turned our attention to implementing a multi-platform online marketing campaign that combined social media content, paid advertising, and other online activities to reach as broad a relevant audience as possible. 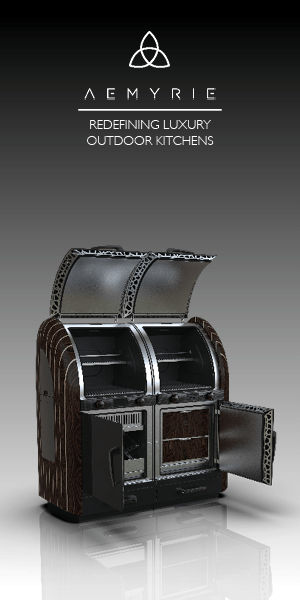 Within just one month of launching the marketing campaigns, 360 individuals submitted their interest in the Aemyrie oven (a rate of 12 leads per day! ), a fantastic 273 of whom came through social media, while 87 came directly from the website! Furthermore, one of these leads was from a very high-end retailer in London, who wanted to discuss an on-going partnership with Aemyrie, while another was from a high-profile royal background. To top it all off, Aemyrie also appeared on The Sybarite’s Lust List of March’s Most Wanted. Having run a lucrative Lead Generation campaign on Facebook, we expanded our marketing activities to capitalise on Aemyrie’s more visual elements using the Google Display network. Within the first month of running this campaign, we had generated over 300,000 impressions and obtained an impressive 1,300 clicks at a CPC (Cost Per Click) of only £0.30. The campaign continues to run and generates both traffic and brand awareness for Aemyrie.